The sea of clouds is very popular for its enchanting beauty. It feels like you wanna swim on it!! (but you would definitely die if you do that..so DON’T) 😀 It is very romantic place for couples– a perfect venue for engagement proposals ❤ (Ok, gentlemen? ); It is a place of friendship bonding and recollection; It is also a serene space for a solo traveler. In short, it is a place for everyone who can make it to the Summit. The sunrise peak experience is beyond description. More importantly, it showcases God’s indescribable creation. A bus ride from Manila to Baguio City usually takes 5-6 hours so if you want to make the most out of your trip, better leave the city as early as 12 midnight. Once in Baguio, you will have to ride a taxi (or jeepney) that will take you to Kabayan Van Terminal and jump-off points on the way to Mt.Pulag. You have to inform the DENR (Department of Environment and Natural Resources) Office in Ambangeg of your intention to climb Mt. Pulag. Let them know when you are traveling and the number of participants in your group. Exponentially, Mt. Pulag has gained extreme popularity among hikers and sometimes it is too much for the mountain to handle. For this reason, DENR limits the number of climbers per day and also why you need to inform them ahead of your schedule. Travel to Baguio city via bus or private vehicles. Victory Liner and Genesis are among the popular bus companies servicing the route from Manila to Baguio. Terminals are located in Cubao and Pasay. The travel time for first-class buses is between 5 to 6 hours and will set you back ₱750 while regular buses will take 6 to 7 hours and cost ₱500. Book a bus ride with a departure time of around 11:00PM or midnight so that you reach Baguio early morning of the following day. Once you reached the bus terminal in Baguio, flag a taxi to bring you to the Old Slaughterhouse. Tell the taxi driver to drop you off at the van terminal bound to Kabayan. Catch the first trip out to Kabayan which leaves around 7:00 AM. The van to Kabayan will pass by Ambangeg. Get yourself dropped off at the junction in Ambangeg near the DENR Station. Travel time from Baguio to Ambangeg is 2 hours and will cost around ₱120-150. From the junction in Ambangeg, walk a few meters to the DENR Station. You will be asked to attend a short orientation wherein you will watch a short video presentation that summarizes the do’s and don’ts during the climb. This will also include some trivia and other helpful information that may come in handy throughout your hike. You will have to pay an entrance fee of ₱100/person and a camping fee of ₱50/person. You can start your climb immediately after this. Step 6: Save Your Energy or Save Your Money? Porters and guides are readily available on the area. They traverse the mountain trails back and forth all day for people who need help in carrying heavy luggage. You can request for one at the Babadac Ranger Station. The guide fee is ₱500 per group while the porter fee is at ₱500 with a limit of 15 kilos per porter. During our travel, the guide was a-must while the porter was just an option. There are three camps in the area. Camp 1, Camp 2 and the Saddle Camp. 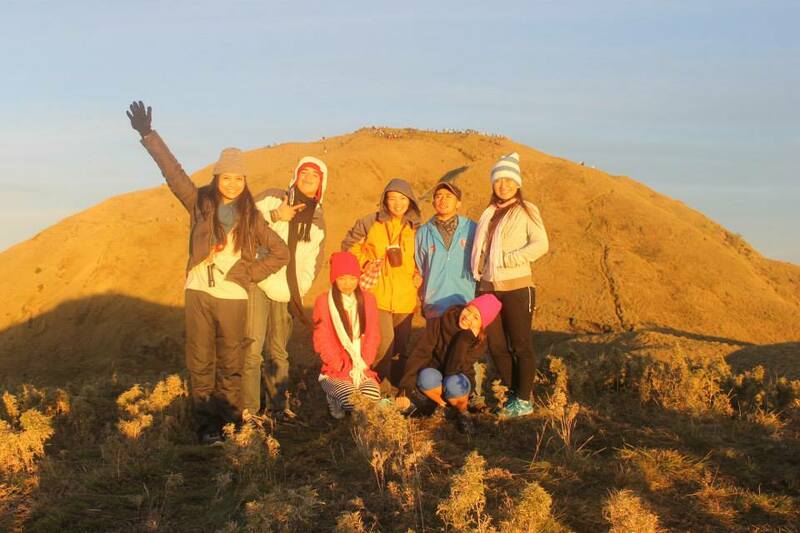 Click here for more: Mt.Pulag Adventure (Part 2): What To Bring? Friendly Reminder: Bring all Your Trash Back Home.